In 2015, Freedom for All Americans launched a new program designed to strengthen the movement to win non-discrimination protections for all LGBT Americans – LGBT University, an ambitious training and development program for the next wave of campaign leaders. The first cohort, comprised of 16 apprentices from all across the country, is nearly complete with the year-long training, which convened for the first time last fall in Phoenix, Arizona for training sessions and informational overviews about every facet of running public education and political campaigns. The trainings spanned fundraising, field, communications, strategy, and more – and this weekend, the apprentices are getting a chance to deploy what they’ve learned with the second convening in Philadelphia, PA, where they’ll run a campaign simulation. They’ll incorporate all that they’ve learned to work through real-world scenarios and develop tools for advancing LGBT non-discrimination nationwide. 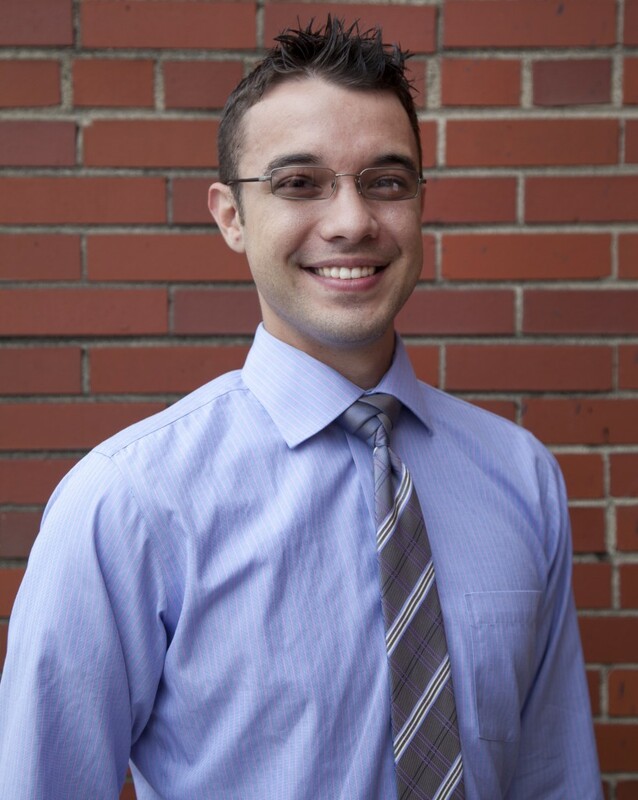 To get ready for April’s LGBT University session, we spoke with Chris Geggie, who has worked in nearly a half-dozen states on campaigns to advance equality for LGBT individuals. We asked why he wanted to get involved with LGBT-U, what he’s gotten out of it so far, and why it’s important for the nation to move forward on full protections for LGBT people. What was your experience in the LGBT organizing space before LGBT University? I was drawn to this program because it was an opportunity to grow in areas where i might not necessarily have a lot of expertise – but also to build upon some skills I do have. This was definitely a piece of continuing education for me. A lot of us that work in the movement understand that all of the different social justice issues we’re working on are related to one another. So I like this program so much because it was designed to build capacity for longer term systemic changes in the future. What’s the best way to describe LGBT University, and what are your favorite things about the program? I’ve described it as a continuing education boot camp. There’s the weeklong intensive coursework – but then there are the monthly calls and other homework. But honestly, the weeklong experience in Phoenix was amazing. I don’t think I’ve ever learned more in a five-day span ever. It was eye-opening on the one hand because of the sheer amount of knowledge delivered. But then equally as impressive was the caliber of presenters and the people within the cohort to make the various conversations, which can get sort of in the weeds and hyper detailed, interesting and accessible. The caliber of the information presented was awesome. Almost every module that we did I found useful to even the work I’m doing right now. Can you give an example of that? 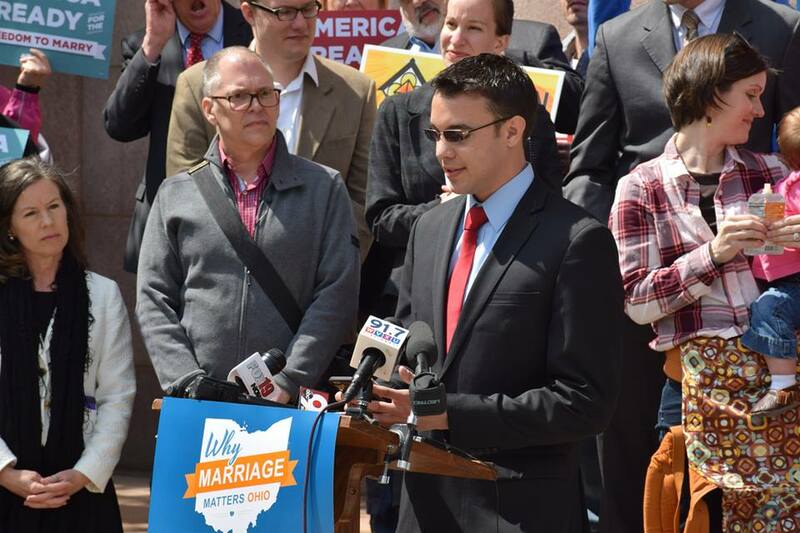 How the LGBT-U lessons have impacted your previous work at the ACLU of Ohio? For several month I worked on a pilot project for voting rights, on behalf of voters who are deaf or hard of hearing – setting up ASL interpreters at the board of elections. The goal was to turn out people who are deaf – since people with disabilities are some of the most marginalized people in the country. 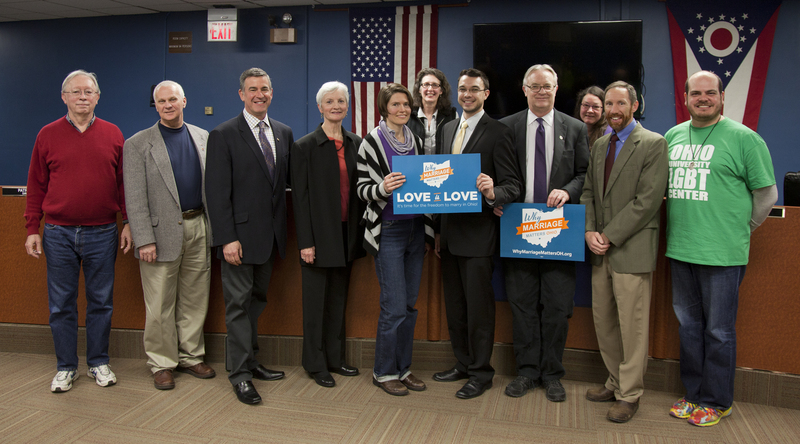 The LGBT-U training has been useful for a lot of reasons – for example, I was in Dayton, Ohio for work, and I walked into a meeting with some deaf seniors at the City of Dayton Community Center. I wanted to talk to them about the program we are coordinating, but one of the things I remember ed and went back to from LGBT-U was looking at how we approach different communities, particularly communities where you are the outsider, and acknowledging your own privilege and then working to meet people where they are. I just wanted to remember the importance of keeping in mind that the goal of the work that we do as organizers is to meet people where they are, bring them to the table, and empower them to act. Why do you think programs like LGBT University, which aims to invest in the infrastructure of the LGBT non-discrimination movement, are important? I think that investing in this kind of training is key because we want to make sure we have a sustainable movement. One of my favorite things that we’re doing with this is showing that it’s not just an investment in individual people, but rather an investment in the entire community of LGBT people, because of the intentional work of intersectionality and uplifting people within the LGBT community who are marginalized themselves. Who do you think would be an ideal candidate for LGBT University? Well, I think lots of people would be really good fits for LGBT-U. I tell people all the time that what I do as an organizer, the skills aren’t that special. And so because of that, I know that everyone has the ability to raise their voice and organize their own friends and coordinate their own community. The power of one person’s story can literally change the course of a nation. I see the work with LBGT-U as more helping people to understand the strength of their own story and then being able to share that to create the change we’re working toward.